Thanks for stopping by! I really appreciate your support and interest and hope to offer you content that can enhance your own journey in Chasing the Intentional Life! I would so appreciate any comments along the way. I write about Intentionality in the day-to-day, family life, spirituality, holidays. and friendships. If my topic doesn’t fit any of those categories, I just call it a “personal reflection” 🙂 Check out the bar across the top for the categories. Look for it once a week and better yet, subscribe in the box on the right of each post. Wondering about me? I’m a lot like you in many ways. I love my family, my friends, Jesus, and want to squeeze every drop of joy out of each day in this precious life. My favorite song is “What a Wonderful World” if that gives you a clue! My life long passion has been helping women to create an intentional life and experience the fullness of life God offers. I started writing when I was a girl, let’s just say awhile back, and haven’t stopped. I started getting published about 15 years ago and now have about 100 articles that made it into print. A few years ago I finally wrote that book I’d been talking about for years, Rhythms of Renewal a book for women on creating life-giving spiritual practices. in 2016, I launched my second book, Getaway with God: The Everywoman’s Guide to Personal Retreat this one invites women to take personal retreats or “Getaways with God.” Think of it like plugging your soul in for a long recharge! My next book, “100 Need-to-Know Tips for Moms of Tweens & Teens” is coming out next spring. Going to work for me also includes meeting with clients, usually on the phone for personal life coaching. Personal Life Coaching …kind of like a personal trainer for your day-to-day life! Coach Training Alliance certified me in 2003. You might run into me on a walk by the lake, at a bookstore, or garage sale or enjoying tea with a friend. When I have some free time I usually start sorting photos or grab a novel. I married Tom Suk a long time ago and we have four grown children and live in the Chicago area. Our family having fun! 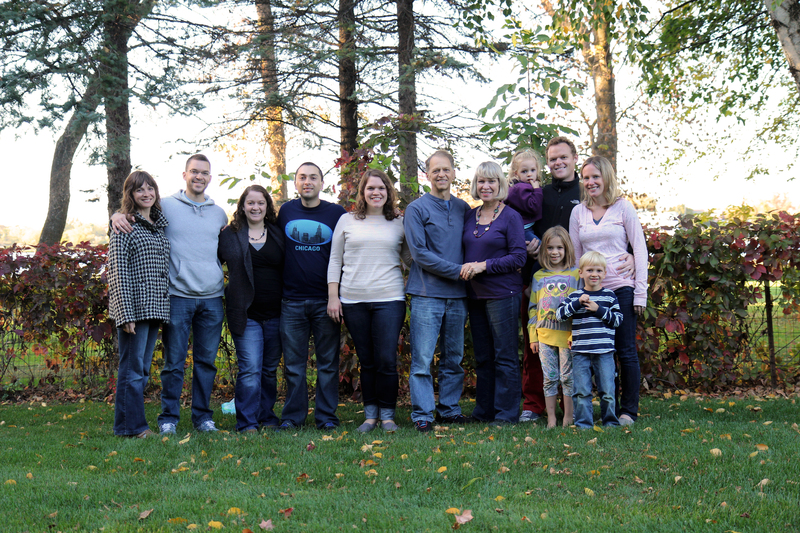 A few more grandchildren added since this…. Lovely! A further incentive to plan and be initial with this beautiful gift called summer.